A blog devoted to exploring wines made from unusual grape varieties and/or grown in unfamiliar regions all over the world. All wines are purchased by me from shops in the Boston metro area or directly from wineries that I have visited. If a reviewed bottle is a free sample, that fact is acknowledged prior to the bottle's review. I do not receive any compensation from any of the wineries, wine shops or companies that I mention on the blog. Since my last post, I have sporadically received emails and various other social media communiques from readers asking how I'm doing and I've not done a very good job responding to those people. For the most part, I just haven't had any good news to report and didn't want to lie, but also felt kind of awkward sending people gloomy emails. I have wanted to thank them, though, for thinking about me and for sending me such lovely, encouraging, thoughtful messages. The frequency of these messages has picked up in the last week or so, and so I had a look and noticed that my last post was just over a year ago. I knew it had been some time last summer, but I didn't know exactly when, and I certainly didn't know that the post's anniversary had come and gone. I have been debating writing an update to that post for a month or two, and I guess I've finally decided to do it. I wasn't sure if I wanted to for pretty much the same reasons I didn't get back to a lot of people who wrote to me. Also, it felt (and still kind of feels, to be honest) a little self-indulgent, and I wasn't sure if anybody really cared or wanted to hear about any of it. I suppose those who don't and/or won't can move along at any time, though. In short, things have changed very little. There have been parcels of time where things were OK and I'm sure a few times where things were probably good, but on the whole, I've not been well. I've lost close to 80 pounds throughout this stretch, which, to be honest, is something I probably needed to do anyway. To those looking for a new weight-loss method, though, I don't recommend this one. I've been drinking very little wine over the past year, and even less unusual wine. I've bought very little wine. I've read very little about wine. The feeling I used to get when I'd talk about or think about or drink wine is gone. It's gone from pretty much everything, honestly. Everything is just stuff. And I feel the same kind of empty, but somehow really heavy with pretty much all of it. Drinking less wine didn't necessarily meaning drinking less in general, unfortunately. It never got to a point where it was pathological, but it did start to get to a point where it felt necessary and like it was the best part of my day. Around February, I decided it was time to take a break for alcohol for awhile. Also around this time, I started seeing a new psychiatrist, since my old one had retired. He took a look at my file and listened to me as I filled in the parts from before I moved up here and sort of looked at me and said, "so, now what?" There are very few psychotropic medications that I've not been on at one time or another. Many of them I've been on more than once. At best, they've done nothing for me. At worst they've made me aggressive or numb or suicidal. I told him I didn't know what to do now. I didn't know what kinds of options there might still be. I sat and looked at the floor for a few moments. For those who don't know, ECT stands for electro convulsive therapy and is essentially the more humane and much safer ancestor of what they used to call shock therapy. They put you under and hook up some electrodes to your head and pass a brief pulse of electricity through you. This little zap induces a seizure which only lasts a few minutes. After a few of these, you're supposed to feel better. Nobody really understands why, but it seems to work an awful lot of the time and sometimes works within a session or two (though more often after a few sessions). It had come up at various points in the past, but was something that I had always refused to go through. I had been concerned that it would wipe out my personality or turn me into a zombie or obliterate my memory and however bad I had been feeling, I felt like it wasn't worth any of that. Over the past few years, though, I gradually started to open up to the possibility, and for the first time, I felt like whatever bad thing might happen, it couldn't be worse than this. I was referred to a doctor who ran an ECT clinic at a local hospital and after a lot of health checks, I went in for my first session around March. They started me on a trial of unilateral ECT three times a week, which means that they only sent the pulse into one of the hemispheres of my brain (the right one) rather than across both hemispheres (which is called bilateral). For those wondering what it's like, you show up to the clinic and they take you back to the little room where they do it. This particular one was laid out like a tiny ER with a number of different beds all in the same room separated by privacy curtains. They made me take my shoes off and lie down, and then they hooked me up to all the vital sign measuring stuff, as well as putting a blood pressure cuff on my ankle. They asked me standard questions to make sure I was the right person and that I knew where I was and what was going on. They stuck an IV in my hand, and then I waited for the doctor to make his way over to me. In the meantime, I could hear him talking to the other patients and could hear the other patients going through the procedure, which didn't sound like very much. Once the doctor made his way to me, he asked me a few questions about how I was feeling and then was ready to go. There were a few nurses along with him as well as an anesthesiologist. Everybody got in their positions and they took my glasses off. One of the nurses inflated the blood pressure cuff on my ankle, they put a plastic breathing mask on my mouth and nose, and then the anesthesiologist started the medication drip. They give you a short-acting general anesthetic (propofol, in this case, which really hurts as it goes in) as well as a muscle relaxant so that when you go into seizure, you don't actually thrash around. The blood pressure cuff is there to stop the muscle relaxant from reaching your foot so that when you have a seizure, your foot actually twitches a bit so the doctor can see (I was hooked up to an EEG as well). The breathing mask smelled and tasted like filling up a brand new inter-tube, and I had to take deep breaths while being gently talked to by the anesthesiologist. The medicine hurt and made my arm ache as it went in and after a few minutes, my eyes got really heavy and everything went black. I'd wake up a few minutes later, after it was all over, and sometimes I'd remember still being in the bed and being asked what my name was and what the date was and where I was (they won't let you leave until you get these questions right) and sometimes I wouldn't remember until I was being passed off to my wife back in the waiting room. I felt foggy and heavily drugged and usually had a slight headache, but not much more than that. I did the unilateral three times a week for a week or two and didn't feel any better, so they started me on a trial of bilateral twice a week. I wasn't really getting much out of the bilateral at first, but after a few weeks, things started picking up a little bit. They then moved me to once weekly sessions and things started to slip. Rather than increase the frequency, though, they moved the sessions to two weeks apart, and everything pretty much slid right back to where it was. In late June, I stopped the treatments. A typical course of ECT is around 15 sessions and I had undergone close to 30. I had thought before the treatments started that I could maybe still go to work on days I wasn't receiving treatments, but the sessions took so much out of me and made my head so foggy that I could do little more than watch TV on those days. It seriously affected my memory, but in odd ways. I remember a lot of things from right before each session began, but I apparently saw movies and television shows after the treatments that I have absolutely no memory of at all. I was out of work for about three months and have only been back about two months full time and am still having some difficulties. I was only able to drive my car again a week or so ago, and still feel uncomfortable about long drives. ECT is very effective for a lot of people, but it didn't work for me. I've continued seeing a therapist and continued taking the medications my psychiatrist has prescribed, but I've started to lose hope. After a few months of not drinking, I've picked it up again. I know it's not good for me and it's not helpful to any of this, but I don't really care. The point of all this, for the most part, is to say thank you to everyone through the years for reading this site and for commenting and for being so nice via email or twitter or facebook or in person or whatever. Thank you for your concern recently while all of this was going on. I've appreciated every kind word that's been sent my way, even if I didn't have the energy or emotional capacity to let you know directly. I've learned a lot while doing this and I hope that I've been able to share some of that knowledge with others in a way that is interesting and entertaining and that made people want to seek out and try some of these wines. This is my last update to Fringe Wine, though. I'm not going anywhere, but I'm not going to be coming back here any more. I'm going to keep doing what my doctors tell me and see where that leads me, but it really looks and feels to me at this point like it leads in a different direction than this. So thank for reading everyone. Goodbye. 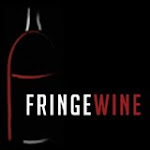 Follow Fringe Wine on the go with your Kindle or Kindle-enabled device! Subscription rates are $0.99 per month to have all Fringe Wine content immediately sent to your reader. Purchase here and support Fringe Wine! Like Fringe Wine on Facebook. January Urban Sampler: Summer in the Southern Hemisphere! Text by Rob Tebeau. Logo designed by Charlie Tebeau. Picture Window theme. Theme images by funstickers. Powered by Blogger.